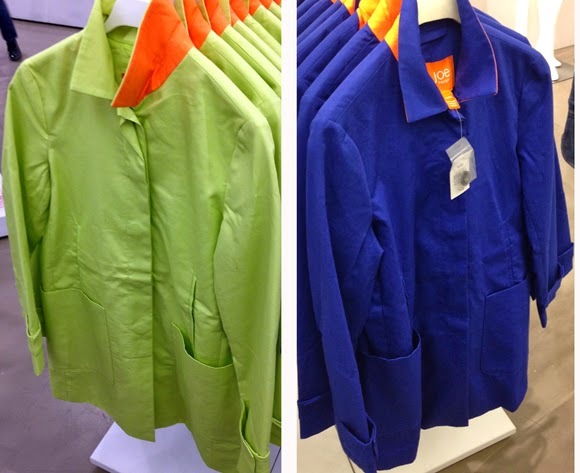 After the Macy's Flower Show, the most spring color to be found on 34th Street is on display in Joe Fresh. 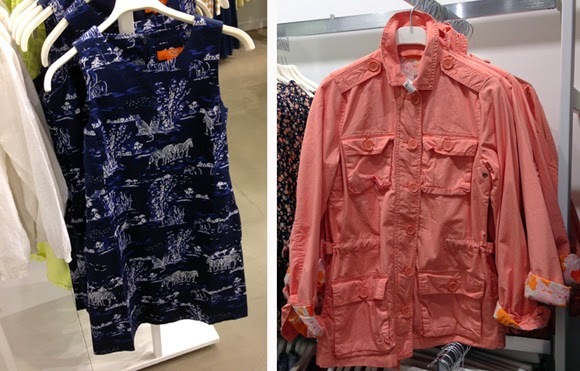 ...the print skirt is $39, the dress is $29, and the peach military jacket is $49. 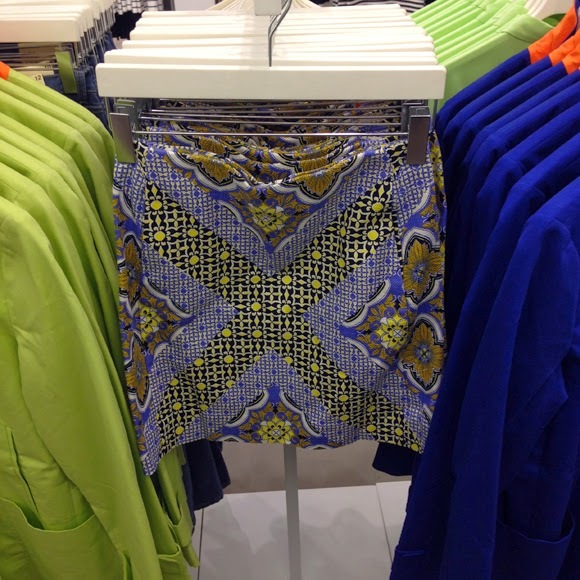 While styles are similar to what can be found online, the colors in store right now are much more bright, fun, and yeah, spring-like!